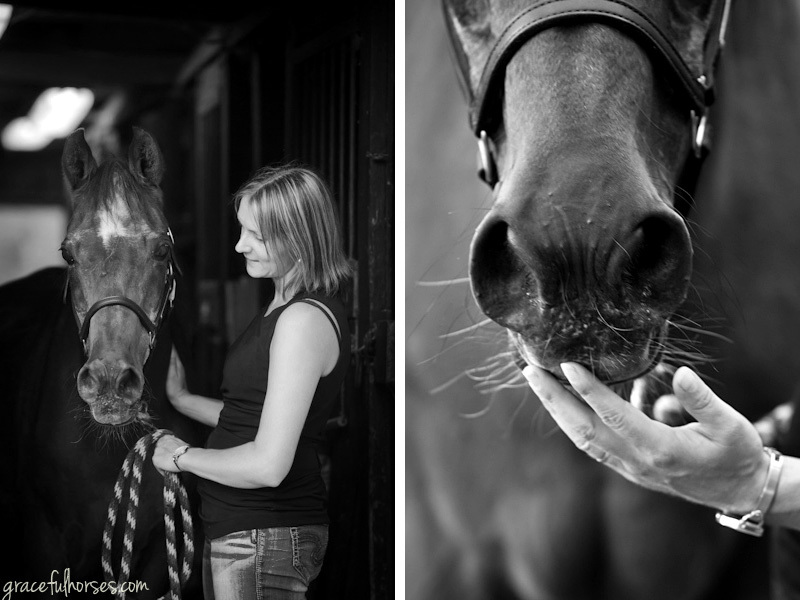 When I was approached to photograph 33 yr old Arabian horse Chaser, I knew something very special was going to unfold. I immediately got an intuitive sense of his wise, powerful energy and of the way I was going to feel around it. 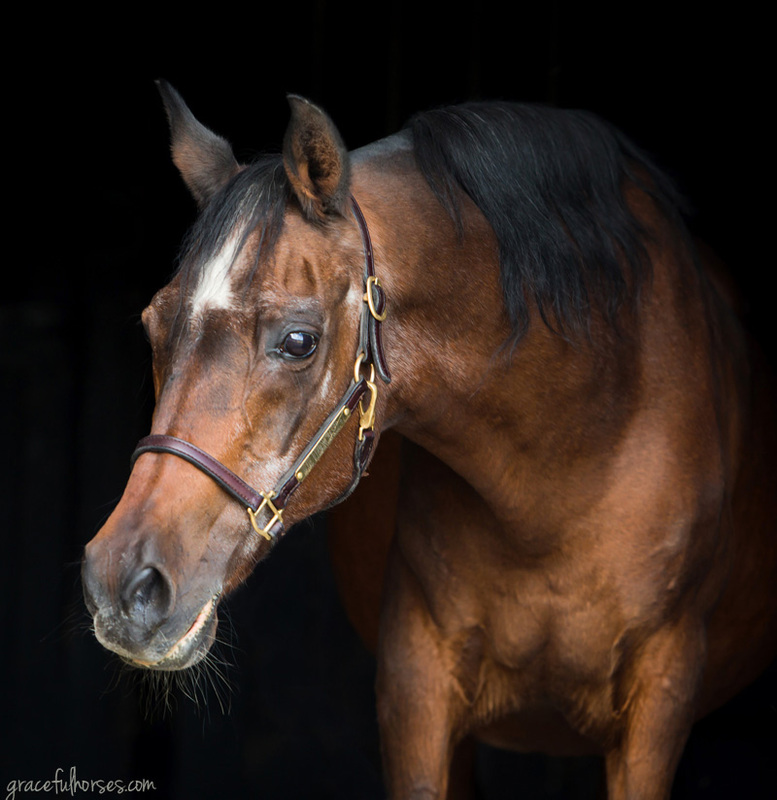 As it happens with our own elders, Chaser’s presence inspires feelings of reverence, respect and admiration. His beautiful eyes are the keepers of many stories and secrets. Spending time with this superb being and his loving owner, Melissa, was a poignant experience which will remain engraved in my soul. 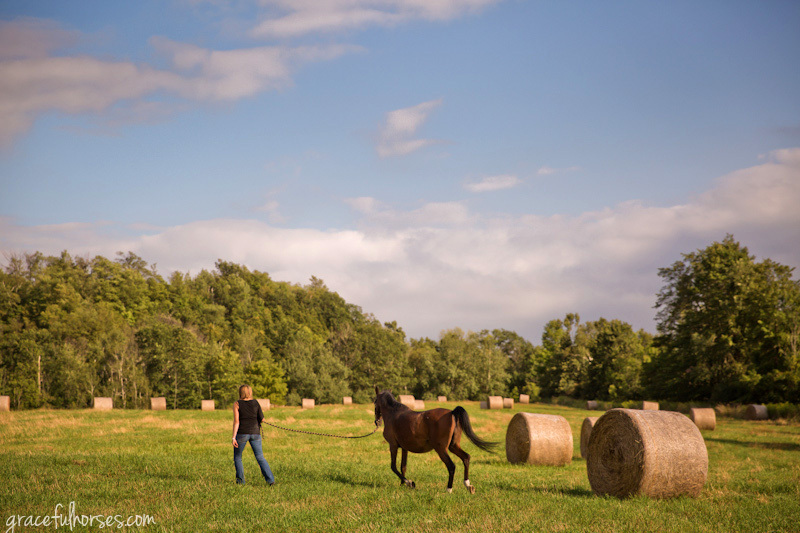 I am not a horse owner (not yet) but I have the special privilege to enjoy the world’s. 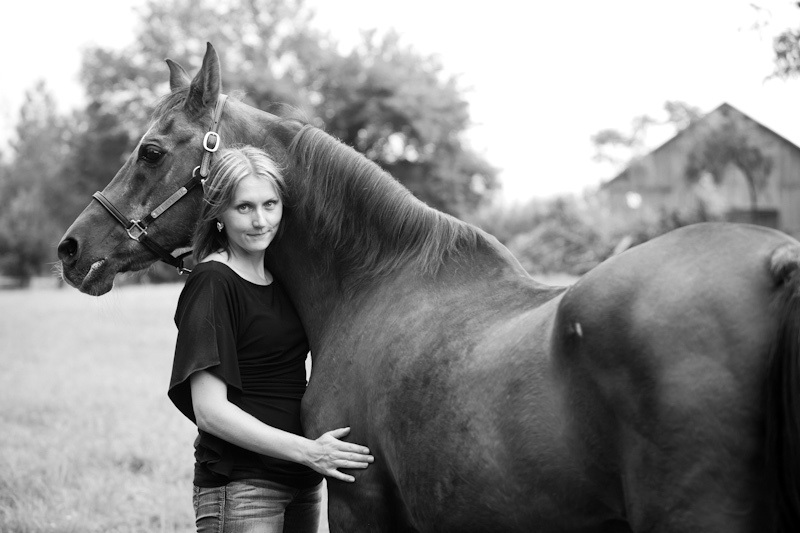 I can only imagine how it feels to share years of life with an equine companion, present beside their human like a pillar of solid support and unconditional love. “Chaser has been part of my life through major life events: public school graduation, first job, first boyfriend, first car, high school graduation, university graduation, post-secondary graduation, marriage, first house – the list goes on. He’s also provided a mane to cry in when times have been bad”, Melissa told me. Melissa and Chaser have been together for 20 years. 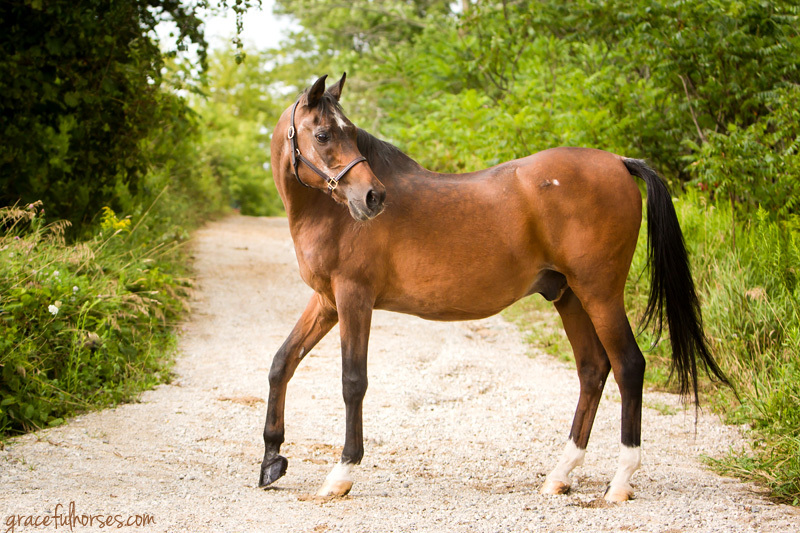 Chaser was born in 1984 in Oregon and he is a purebred Arabian. His show name is Blue Ribbonchaser – blue being the colour of first place in the US. 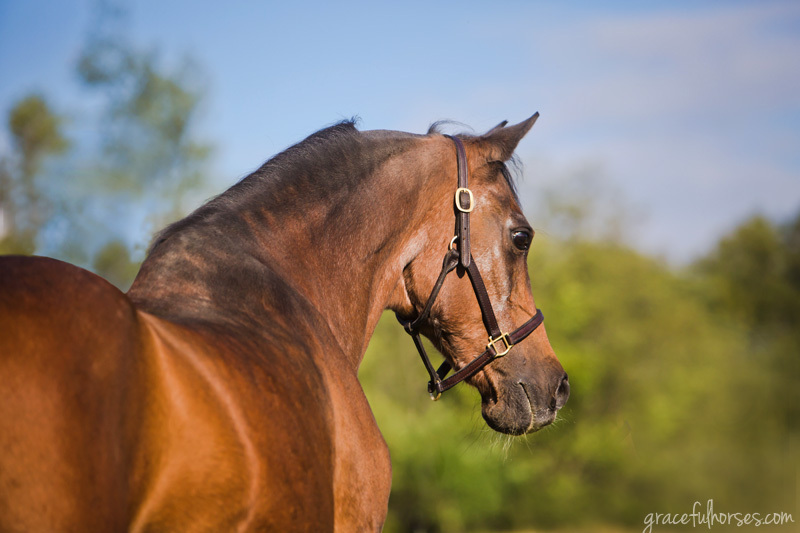 Melissa had successfully shown him for over a decade on the Arabian show circuit in the disciplines of Country English Pleasure, Saddleseat Equitation, Arabian Native Costume and Halter. 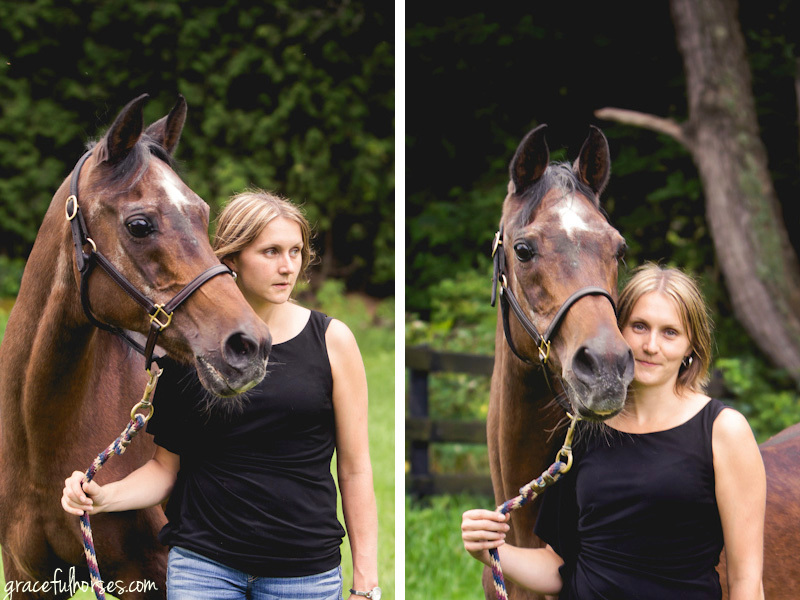 “We were always in the ribbons, but he was a challenging horse to ride. Sometimes it was like riding a stick of dynamite. He was high energy and I loved every minute of it! 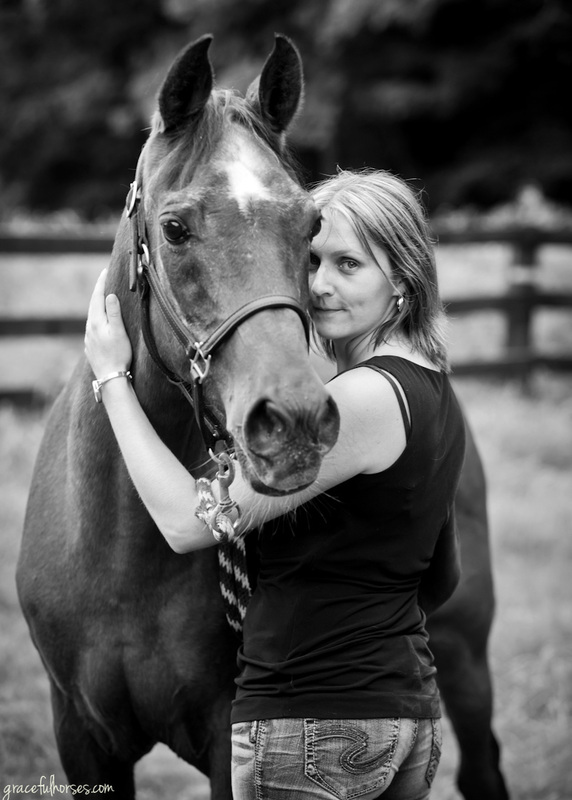 He made me a better rider than I think any other horse could have”. 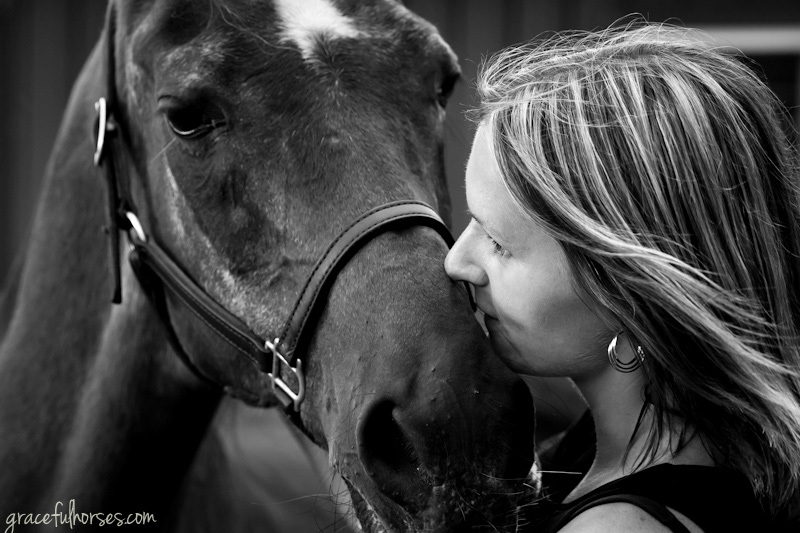 Melissa and Chaser’s deep connection is obvious and I am very humbled to have been able to capture it through my lens. I am usually a fan of colour but I feel there is a timelessness to these black and white images inspired by these two’s life story. There are no distracting elements but them and the love they share. 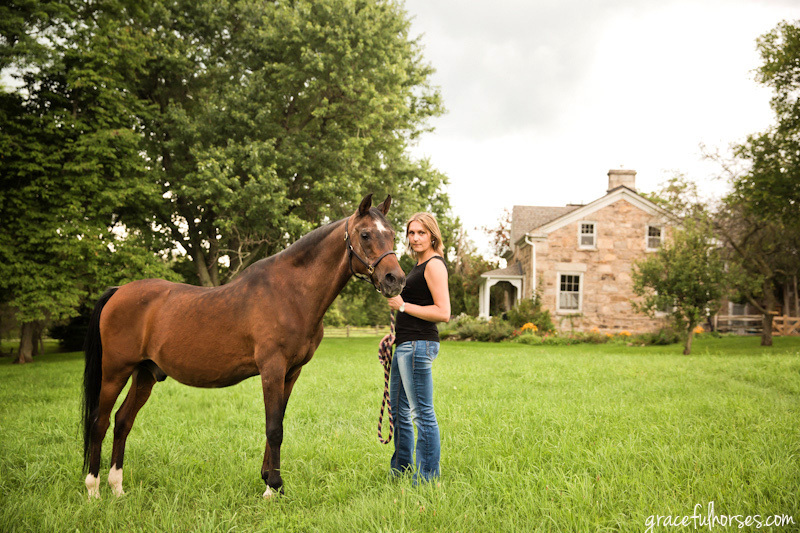 “He’s a my once-in-a-lifetime horse. I have had other horses that have meant the world to me, but Chaser truly is something special. He’s got a personality larger than life, which is what I love so much about him”. I was very taken with Chaser’s gracious presence. At 33, he looks elegant and vibrant, like a moving sculpture. Even though he initially gave me the impression that he might be a little hard to capture on camera by himself, he eventually reminded me that trust and patience are always rewarded. There will be a magical (sometimes very brief) opening, when everything aligns and the core essence of the animal makes itself seen. An invitation to stay present in the moment, with no expectations, tuned only into what happens in front of our eyes. 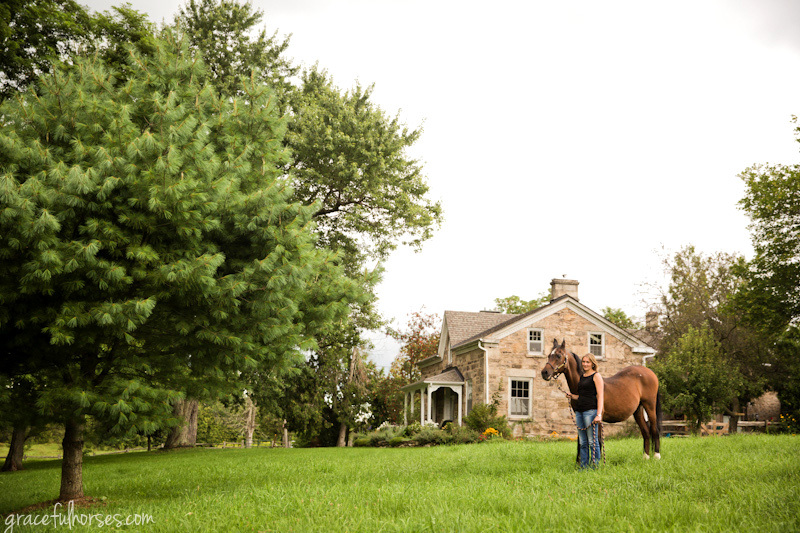 Chaser seemed very keen to accompany Melissa on a little adventure around the property at Milestone Stables. I followed them with a constant smile on my face and in my heart. I am beyond thrilled with these photos! You captured Chaser’s personality and our relationship perfectly. 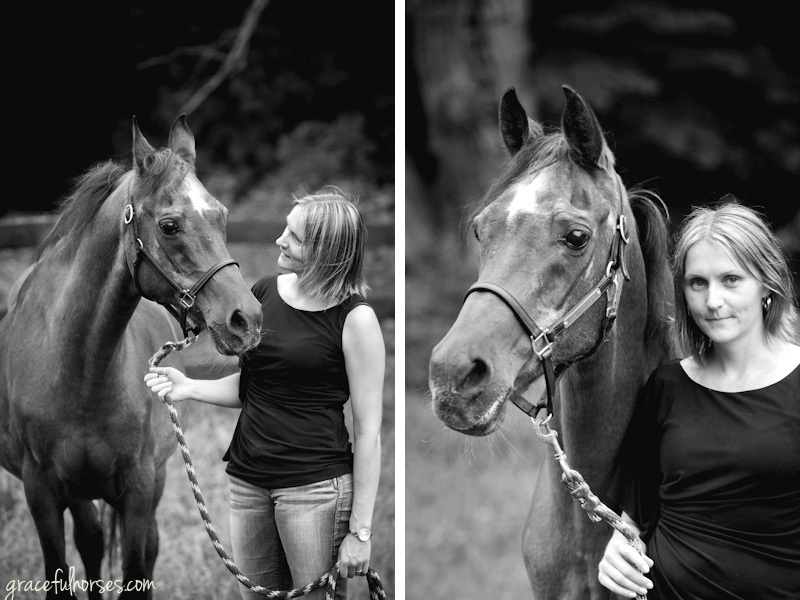 The photoshoot was relaxed and fun, which allowed Chaser and I to be ourselves. The result is beautiful photos that will always be a special keepsake. Absolutely gorgeous! Beautiful work Manuela – the words and the images!! Such a lovely old gentleman.